The Rainbow Laces Campaign is an initiative of Stonewall UK to show support for LGBT+ members of the rugby community. News 21 November, 2018 . Written by Sarah McKenna Barry. The French National Rugby Team will wear rainbow laces on their boots at their next match in support of Welsh player Gareth Thomas who was recently the victim of a homophobic attack. France will play Fiji this Saturday at the Stade de France. Thomas, the former captain of the Welsh International Rugby Team was assaulted by a 16 year-old teenager in his home city of Cardiff. With a visibly injured face, the openly gay rugby star took to Twitter to share the story. Following the attack, Thomas chose to meet and speak with his attacker through the system of restorative justice. 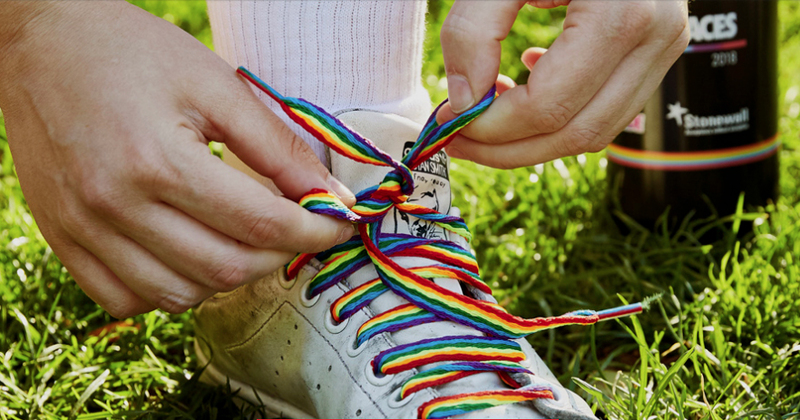 The Rainbow Laces campaign was launched by UK LGBT+ charity Stonewall to show support for the LGBT+ members of the rugby community. 21 November, 2018 . Written by Sarah McKenna Barry.